Protein Plus, LLC was founded for one simple reason - to create healthy products that taste good. We felt we could create a healthier product so we teamed up with an elite team specializing in developing protein and dairy products to create our own brand. They used our creative idea and developed a product now known as PROTEIN ENERGY POWER. PROTEIN ENERGY POWER fulfills our mission to create a nutritional product that is plant based with natural ingredients that meet the demand for healthy products. All our products are GMO free, gluten free, 100% vegan and Kosher certified. 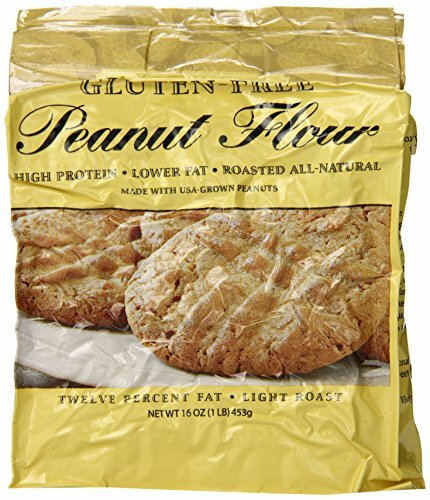 MULTI-USE - Our peanut flour can be used in shakes, oatmeal, baking, ice cream, yogurt, and much more! ADDS MORE FLAVOR - Workouts and workdays can get mundane, but that doesn't mean your food should, by adding peanut flour to your foods it can make those foods seem less boring! DE-FATTED - Our technology is second to none giving us the ability to produce de-fatted peanut flour particles as small as 5 microns. GREAT TASTE - Our unique process yields a more consistent grind giving you total control of your formulas and finished products. This gives you a grainy-free aftertaste and delivers a smooth, creamy consistency that enhances the taste and texture of dairy, pastry and other products. NURTIRITON INFORMATION - All our products are GMO free, gluten free, 100% vegan, Kosher certified and a great source of natural plant protein. If you have any questions about this product by Protein Plus, contact us by completing and submitting the form below. If you are looking for a specif part number, please include it with your message.